Elevated between 4921 ft and 10663 ft, the Ski Resort is among the 3 highest elevated Ski Resorts in Austria. The vertical drop from summit to base is 5741 ft. 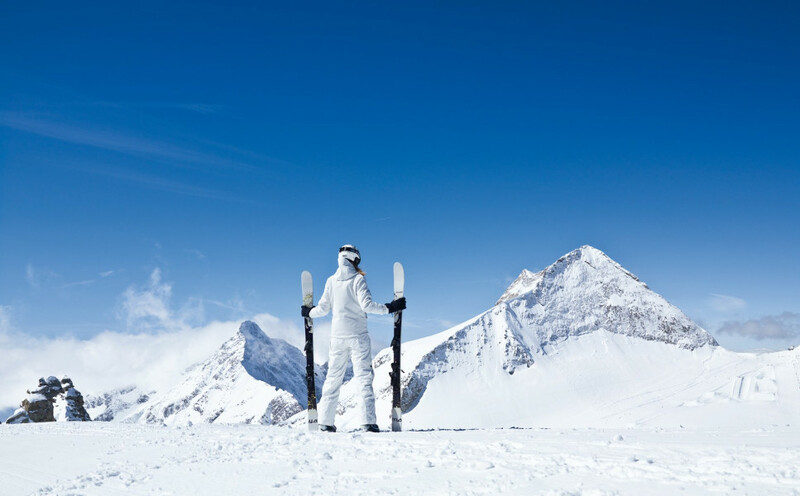 The average difference in altitude between base and summit of Ski Resorts in Austria is 2392 ft. Most runs are therefore relatively long. Season starts on Jan 1 and ends on Dec 31 (729 days). Average season duration in Austria is 114 days. Snow coverage is usually best during March, offering an average snow depth of 123 " at summit elevation and 68 " at the base. 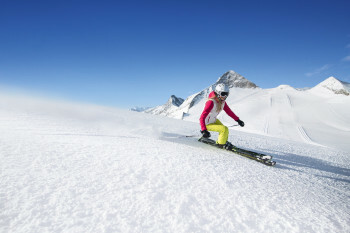 Therefore Hintertux Glacier is among the 5 ski Resorts with best snow conditions in Austria. Hintertux Glacier features 415 sunny days on average per season. 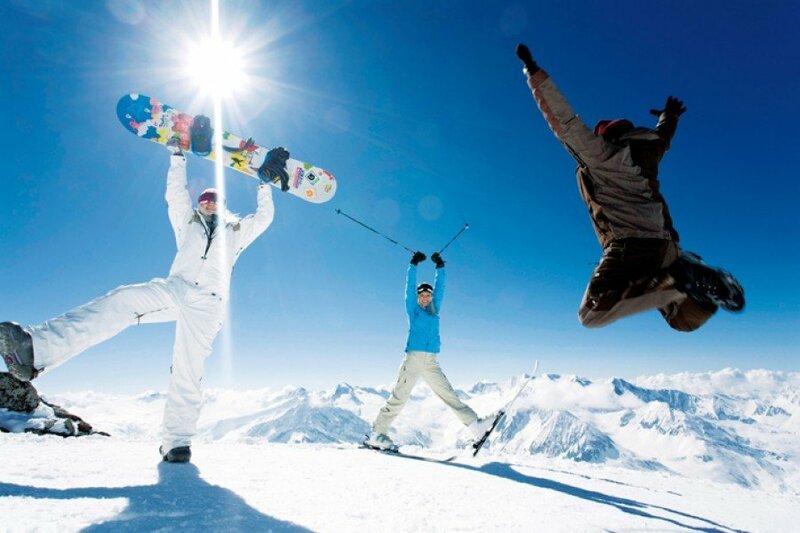 The average for all ski Resorts in Austria is 428 sunny days. August is the sunniest month with an average of 49 sunny days. 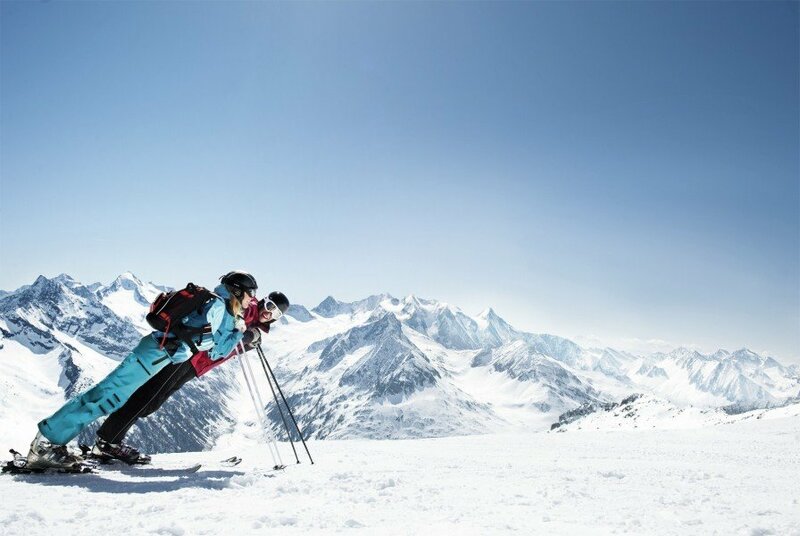 At the end of the Tuxer Valley, visitors soon see a white dream looming large above them – the Hintertux Glacier, a place that promises fun on the slopes all year round. It is open 365 days a year and offers close to 60 kilometres of runs. The exhilarating slopes start as high as 3,250 metres above sea level and are memorably framed by the fascinating glacial surroundings. From the valley station, take the Sommerberg gondola and Gletscherbus up the mountain. Beginners are best advised to first find their feet on the Sommerbergalm. Several blue-marked runs start from here towards the Tuxer Joch. Quite apart from these runs, we highly recommend everyone taking a trip on the Tuxerjoch chairlift. The seven-kilometre “Schwarze Pfanne” run down into the valley to Hintertux starts just below the Tuxerjochhaus, and is a must for all visitors. From the Sommerbergalm, an extensive ski area is also accessible in the other direction. In several steps, skiers first reach the Tuxer Ferner before continuing on towards Gefrorener Wand. At 3,250 metres above sea level, the panoramic views from the terrace speak for themselves! 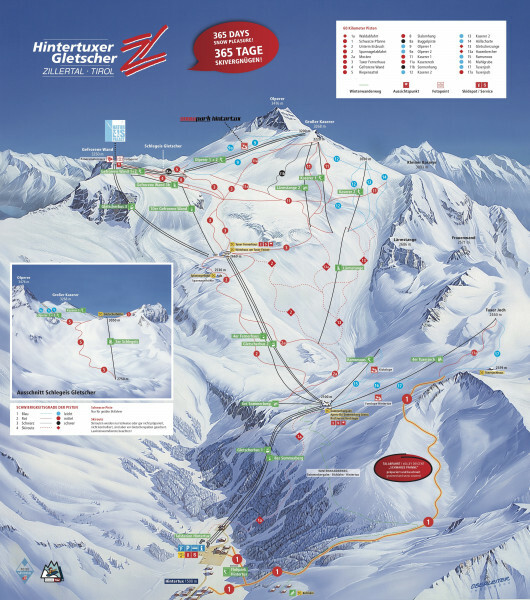 From here, advanced skiers can explore numerous red-marked runs or even give the black-marked Buggelpiste (no. 8a) or Sonnenhang (no. 11b) a try. In the southern section, the sometimes incredibly challenging slopes extend across the Schlegeis Glacier. In the area around the Lärmstange lift, there are also off-piste ski routes marked which take to the deep stuff. If you prefer something a little more gentle and relaxing, Olperer 1+2 and Kaserer 2 are enjoyable and easy runs. The Hintertux Glacier also caters well to freestyle riders. Snowboarders and free skiers can get their kicks 365 days a year at the Hintertux Glacier, while pros and experts enjoy the perfect training conditions available here, many heading for the Betterpark Hintertux every autumn to prepare for the upcoming season. 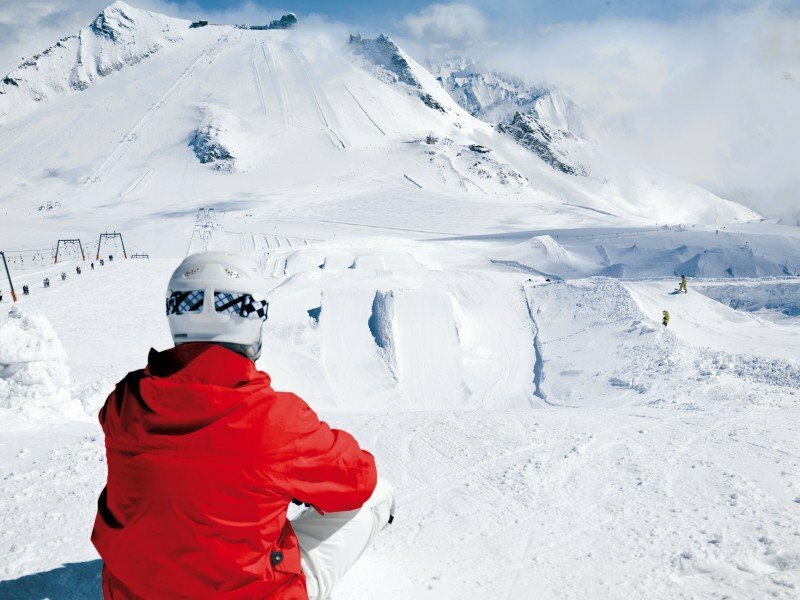 Betterpark Hintertux is open from April until the end of May and from mid-September to December. In the Tuxer Valley, the Eggalm and Rastkogel ski areas are additional hills to explore on top of the area around the glacier. While the Eggalm is more geared towards beginners and skiers who enjoy some peaceful carving, the Rastkogel offers very varied terrain thanks to its connection to Mayrhofen. 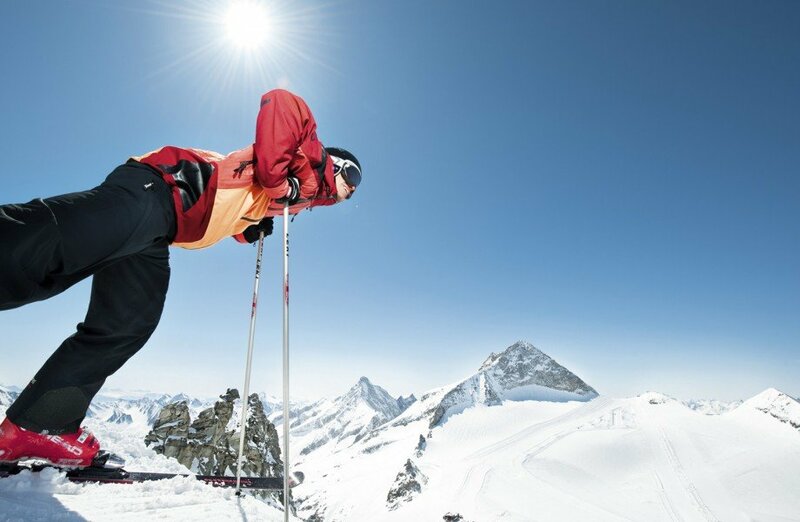 The best way to explore this varied ski region is undoubtedly the “Gletscherrunde”. It encompasses some 72 kilometres of runs, and 15,000 vertical metres as it passes through Penken, Rastkogel and Eggalm before ascending to 3,250 metres and the Hintertux Glacier. On the Hintertux Glacier, hungry skiers have a number of different lodges to choose from at mealtimes. If you like your lodges cosy and inviting, and prefer restaurants with service, the Wirtshaus am Tuxer Ferner offers warm, cosy dining halls and lounges, while the Spannagelhaus boasts a sundeck blessed with plenty of rays. The Tuxer Fernerhaus at 2,660 metres is probably the best place to head if you want some sumptuous mountain views served with your food. The Sommerbergalm has a wide-ranging menu, while Restaurant Hochleger allows guests to take a peek behind the scenes with its show cooking offering. The highlight on the Hintertux Glacier is the seven-kilometre valley run “Schwarze Pfanne” back down to Hintertux. 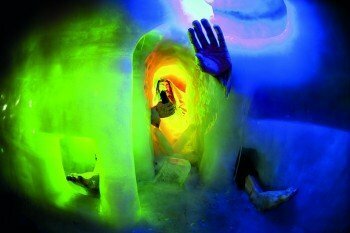 The glacier can also be conquered away from the slopes – in the “Natur Eis Palast”. Just a few minutes from the mountain station of Gletscherbus 3 is the entrance to this ice cave. Within in, visitors can walk inside a glacial crevasse with ice crystals, frozen waterfalls and a glacial lake, all of which can be explored on multiple tours. In addition, there are 68 kilometres of winter hiking paths to explore throughout the Ziller Valley. And if you like sledding, Hintertux also has you covered. The Bichlalm is home to a 3-kilometre run that is also floodlit after dark. Sommerberg Arena is the après-ski location at the Hintertux Glacier. In addition to the umbrella bar, an in-house DJ always ensures that visitors enjoy a good time. In the valley proper, night owls head for the Hohenhaus Tenne, which hosts live acts every Thursday, or the Sandlerbar. There are also several other bars in Tux and the neighbouring villages. The Restaurant at Hotel Berghof in Tux is the first port of call for food lovers. The award-winning cuisine focuses on traditional dishes combined with a few favourites from around the globe. If you want to pull out all the stops, go for the five-course gourmet menu – you won’t regret it! In Finkenberg, the restaurant in the STOCK resort is also recommended – think Tyrolean specialities creatively reimagined and coupled with excellent wines from the extensive cellar. By car: If you are travelling by car, take the Inntalautobahn (A12) to the Zillertal exit, then continue on the B169 towards Zillertal. At Finkenberg, turn onto the L6 to Hintertux. By train: If you’d prefer to travel by rail, intercity trains are available to Jenbach. From there you can take the Zillertalbahn to Mayrhofen, where you have to change onto a Postbus for Hintertux. By plane: Innsbruck Airport is around 80 km away, while Munich and Salzburg are 180 and 190 km away respectively.